Male insecurity is often a subject you don't hear or read much about. I'm not sure why that is. They have insecurities just as much as females do and more often than not, they are similar. Perhaps it's because it could be seen as a weakness to show any kind of emotional or feminine side. Maybe men feel too macho to discuss it. But body image is fast becoming a bigger thing these days. Which is why I thought I would share with you some of the things men feel insecure about. You will see we have much more in common. Men have insecurities about their weight. It seems to have become more prevalent with the introduction of social media. Men are taking to the selfie movement just as much as females are, which is why it's becoming more of an insecurity to males as well as females. Weight loss is a big deal for many of us. Most of the time there is too much pressure to conform to a certain body image. However losing weight should be about your health and being a better version of yourself. Sometimes we need a helping hand in that department. So men consider things like stomach liposuction, supplements, and detoxes to help them get on the right track. 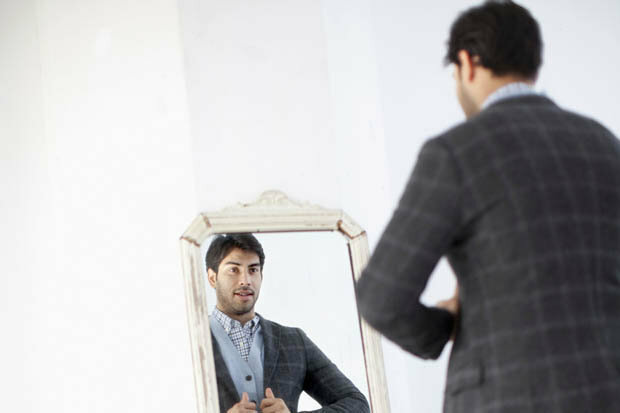 Men think about their overall appearance much more than we give them credit for. They look at how their hair looks, their image, their skin, and overall looks. It's always been there. There just seems to be more media attention on male skin care products and appearance these days than there ever was before. Just as women hate seeing airbrushed females on the front of magazines, same can be said for men with toned bodies and a chiseled jaw line. It's one of those things we can all get embarrassed about at some point in our lives. Body odor sometimes just can't be controlled, can it? From sweat to a musty smell, we can all worry about it. Especially because sometimes we can be oblivious to our own scent. Females worry about this all the time, but men do too. It's just something that we try and keep under control and sometimes can't help. It's good to know we all have the same worry, though. Personality is one of those things we all worry about. Whether we are funny or witty. Whether our kind natures shine through. We can worry about whether we are interesting or have enough in common with friends and potential partners. It can be a huge worry, and some people can end up being conscious about what they are saying or how they are acting. Women can focus on their breast size, their nose shape and how their bum looks in a certain outfit. The thing is, so can men. They can worry about details just as much as we can. Perhaps whether they have toned pecks or abdominal muscles. Whether their nose is too big or too small, whether their eyes suit their face shape. Some men will have had one or all of these thoughts at some stage. What's reassuring is that we are not dissimilar as we think. It's just talked about more openly for some people. I hope this helps you see more from a male perspective.